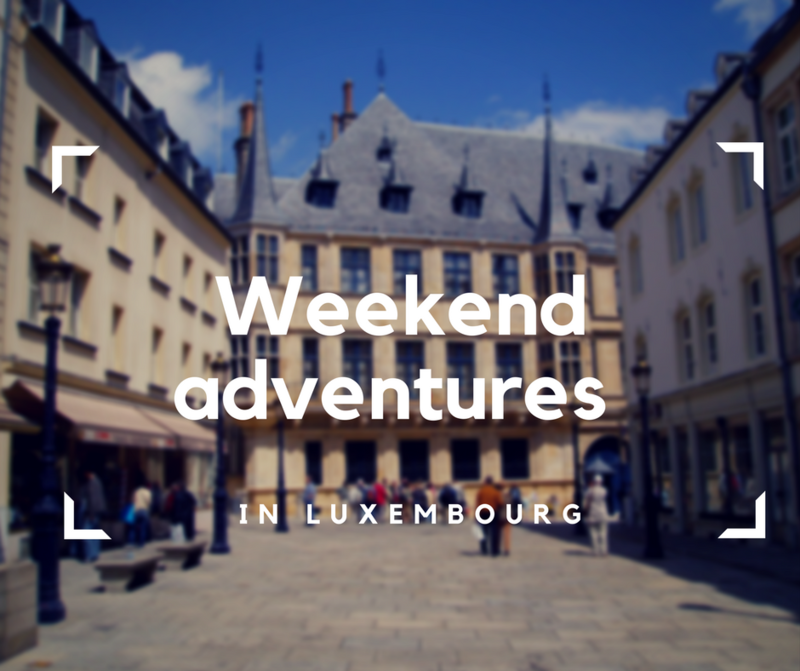 Weekend adventures in Luxembourg were my favourite kind of pastimes, back when I was living there. There was something exciting and comforting in these short getaways, and I couldn’t be more excited to explore everything the country had to offer. Hidden between more popular and greater in size lands, Luxembourg is often overlooked as if it was only a dot on the map. It may be incredibly small, but it is definitely full of wonders to explore and flavours to taste. Would I have gone there if it hadn’t been for work? Maybe. Maybe not. There’s no denying it’s not an obvious travel destination, but sometimes choices out of the box can surprise us the most. I didn’t fall in love with Luxembourg, but I fell in like with it and that’s everything I needed to fill my head with wonderful memories. I think that’s good enough to show you shades of Luxembourg I discovered when I was living there. Attractions, accessibility and flavour of Luxembourg – you can read all about it below! As much as the capital city – Luxembourg – makes an interesting place to visit, it is definitely not everything the country has to offer. During my short weekend trips, I came across numerous lovely places. This is why I decided to show you Luxembourg through my eyes not only on by the example of Luxembourg but also three other cities: Esch-sur-Sûre, Remich Reich and Mondorf. Together they create a unique mosaic of Luxembourgian flavours, coming together into the fusion of colours and shapes. Luxembourg may be known as the most powerful financial centre in Europe, but it is much more than that. The city’s history dates back to the times of The Romanian empire, and it’s just a beginning of its rich history. With a bit over one hundred inhabitants, the city doesn’t make a big metropolis, but it is pretty lovely with its small town vibe. Let me tell you one thing: don’t let the size of the city fool you. It is full of history and if you are willing to explore it, you won’t have much time to be bored there. I definitely liked the city, though it is not my favourite destination in the world. Just like in most of the European capitals, streets of Luxembourg are full of history that is just waiting to be explored. For a small city, Luxembourg is filled with many great cafés and restaurants. The city has a wonderful wine culture, so ordering a glass of wine and people watching is a quite popular and enjoyable activity there. The Notre Dame Cathedral in Luxembourg is definitely not as big and popular as The Notre Dame de Paris, but it is definitely a great place to visit. It used to be a Jesuit church and as much as it doesn’t make an impressive view from the outside, it provides a beautiful aesthetic experience from the inside. The stained glass there is definitely an epitome of beauty. I am not a big architecture lover, but I was in absolute awe. One bonus point: the place is not awfully crowded so unlike The Notre Dame in Paris, it won’t keep you waiting. 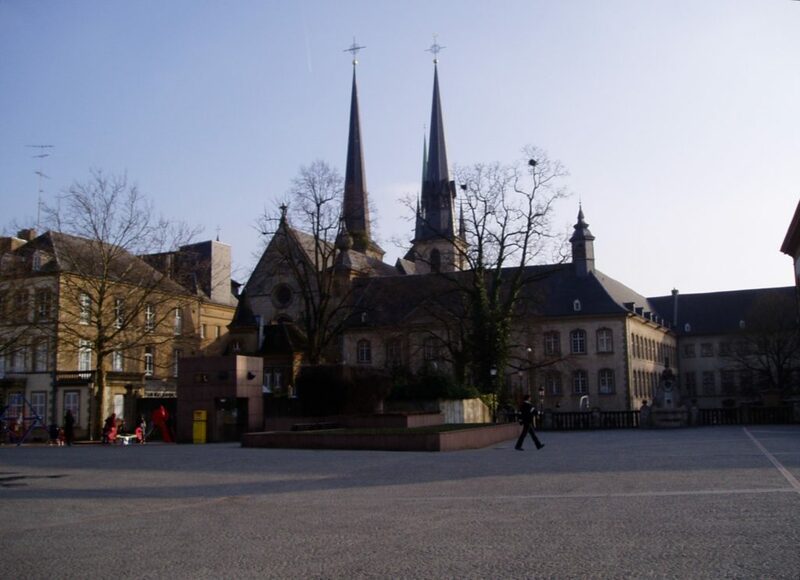 The second biggest city in Luxembourg takes pride in The National Resistance Museum, which is dedicated to The Nazi German occupation of the country. 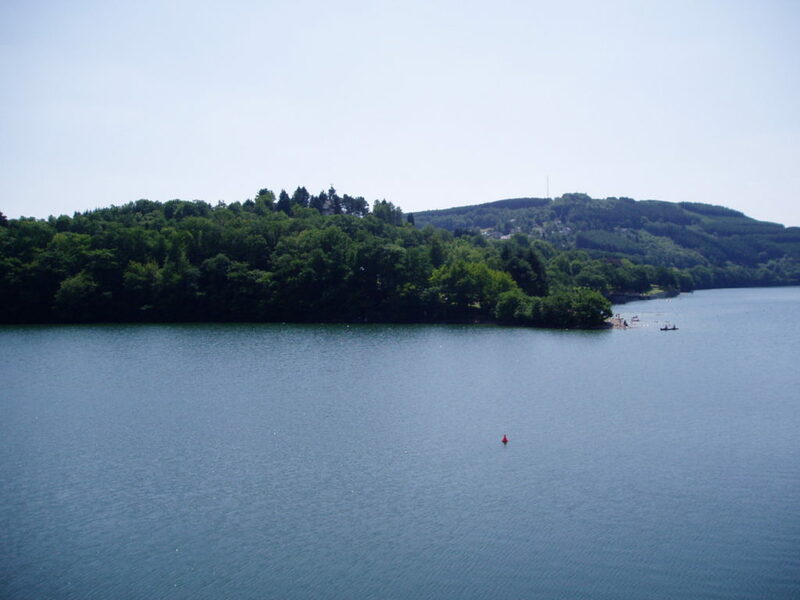 As much as I respect such kind of places, the highlight of Esch-sur-Sûre was Upper-Sûre Natural Park with the Upper-Sûre Lake in its heart. That’s definitely one of the most picturesque places I’ve seen in Europe. The lake and the skies were a beautiful exhibition of all shades of blue put together. I would definitely recommend you to visit the place if you happen to be in Luxembourg. This small town lies by the river Moselleand and it is famous for its numerous wineries. It is possible to have a guided tour there and taste the wine with a pinch of history. Personally, I liked The Guinness Factory in Dublin more, but for all wine lovers out there, Remich might be a paradise. Mondorf is interesting for two reasons: firstly it has the only Casino in Luxembourg, secondly, it has a wonderful spa centre. Mondorf Domaine Thermal is the pride of the town. The thermal water there is strongly mineralized, what’s very important from the health perspective. The spa offers sauna, indoor and outdoor pools, Turkish baths, jacuzzi and wellness treatment. The true wonder of the place is its park, though. Full of greenness, the park also serves as an art gallery with sculptures. It is open to the public and I find it a truly relaxing place. I definitely enjoyed my stay there so I would recommend it if you’re nearby and in need of some relax. 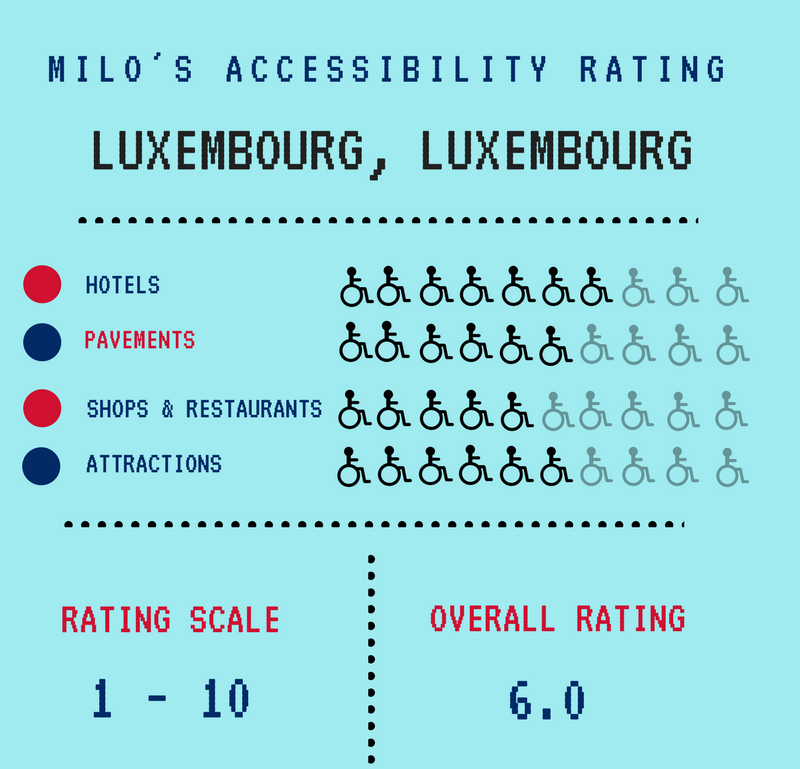 When it comes to accessibility, hotels in Luxembourg are slightly above average. Finding an accessible hotel is possible and it’s standard is generally good. Elevators and ramps are rather obvious, and rooms are catered to wheelchair users’ needs. 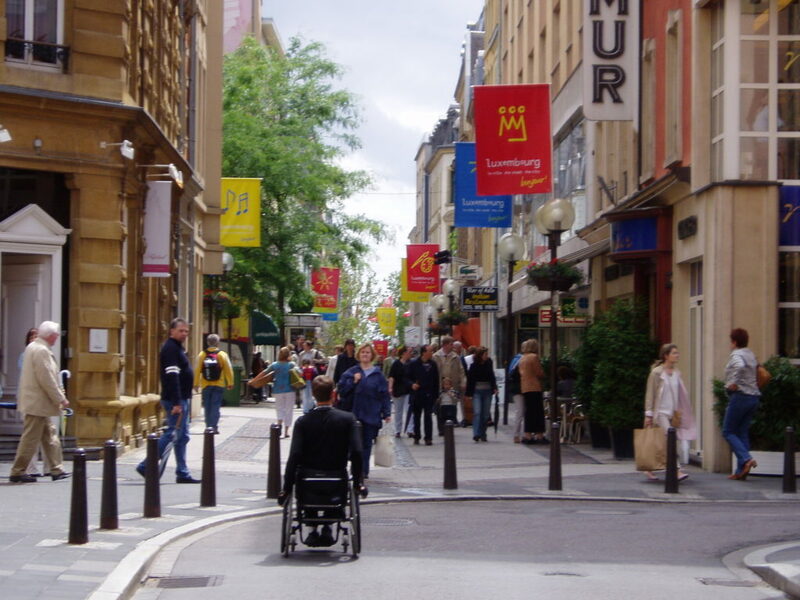 Definitely, accessibility and the hotel industry in Luxembourg go well together. The cobblestone pavements are certainly not friends to regular wheelchairs. Their surface is not even and there are often holes in them. Had I had my Blumil back when I was living in Luxembourg, maybe I wouldn’t have been on my guard all the time. Still, caution is always advised no matter where you are. Attractions can be generally accessed, though they are not perfectly catered to wheelchair users’ needs. All in all, Luxembourg is an interesting country to explore. With its proximity to France, Germany and Belgium, it is a place of cultural fusion of many different ideas. It may not be my favourite place in Europe, but it has its own flavour that I grew to like. Maybe you will like it too if you give it a chance.